Amanda was no ordinary girl neither was she just my university buddy. Actually me and Amanda go way back than just being friends. She was the girl I dated for 3 years when we were studying together. Those three years were the most happiest moments of my life. She was the sunshine of my life and the spark of brightness on my smile. It still surprises me how Amanda choose me over all those other guys who were in for her. They say love is blind, I guess it was true here. I was this quite guy who loves keeping things to himself and pretty much an introvert. I did not have much friends during my university days because I was not one of the cool guys or the type of guy you would want to spend your Saturday night partying with. While Amanda was the gorgeous looking girl. They type of girl who will make your eyes follow her when she walks past you. They type of girl that would freeze your mind when she gives you a warm hug. There was a charm about her and her smile could make you feel like it was heaven. She was indeed very mature and knew how to carry herself and someone who was much respected among her peers. Despite the contrast in characters among us she was with me. She likes a mysterious men and that was something I could offer instead of the other guys. Yet there was only so much she could take being with a guy like. It was clear I was not doing enough for her and appreciating the little things she was doing for me. I am guy who has temperament issues, combine that with my introvert nature, it is a recipe for disaster. I often lash out at her when she does something cute for me in public and never in return bought her flowers nor hold her hand. She loved dancing but I never danced with her. Eventually I drove her away and that perhaps would have been the best thing that could have happened to her. My life was never the same since that day and I never felt that happy again until today I ran into her in the mall. Maybe in mind secretly I was hoping that some day I would have a second chance to do it all right with the Amanda and never let her go. We spent the time talking over lunch at her favorite restaurant in the mall. I remember the place well because it was here where I brought her on our first date and ever since than it has became her favorite spot. We spend hours reminiscing on old times and all those beautiful memories together in university. With every passing second, I became more confident that maybe, just maybe she was still single and we could try to work things all over again. She seemed so happy to see me and she was genuinely smiling. It was her idea to spend time together instead of parting ways after bumping into me. Maybe she is just waiting for me to pop the question.Yet something was still holding me back. It was the fear of rejection. What if maybe she just sees me as a friend. Especially after what I have done to her, why would she even want to be with me again. After lunch we decided to go for a movie together and end it with ice cream. It was just like old times again when we used to go for dates. While we were having our desert, it finally hit my mind that I should speak up now before she says she wants to leave. She has been with me now for a couple of ours now and of cause she would want to be leaving some time soon. I know it's now or never. So finally I brave my self up and and said, "Hey Amanda, there is something I need to ask you?". Before I could complete my question, her phone rang and she said, "It's Mike, I got to take this call, excuse me James" and than she said, "Hey love, sorry I've been out so long, I bumped into James and spend the time with him. It has been a couple of years since I saw him and time just flew as we speak." after a short pause. "Yes love I will be there sharp at 6 and we will have dinner together, love you Mike.Bye". My heart shattered when I heard the conversation and my face turned pale when I knew that the guy she just spoke to was either her boyfriend, her fiancee or maybe her husband. I never felt so cold before. Than she kept her phone and said, "Sorry James, that was Mike, my fiancee. I totally forgot to tell you about him. Was so caught up talking to you.I have to leave now to go see Mike now. So sorry James but lets keep in touch alright. By the way what is it that you wanted to ask me James?". I sum up all the strength I had and put it into a smile and said, "Nothing Amanda we shall talk about it next time. It's getting late you should leave now before the traffic gets worse". She stood up gave me a hug and she walked away. 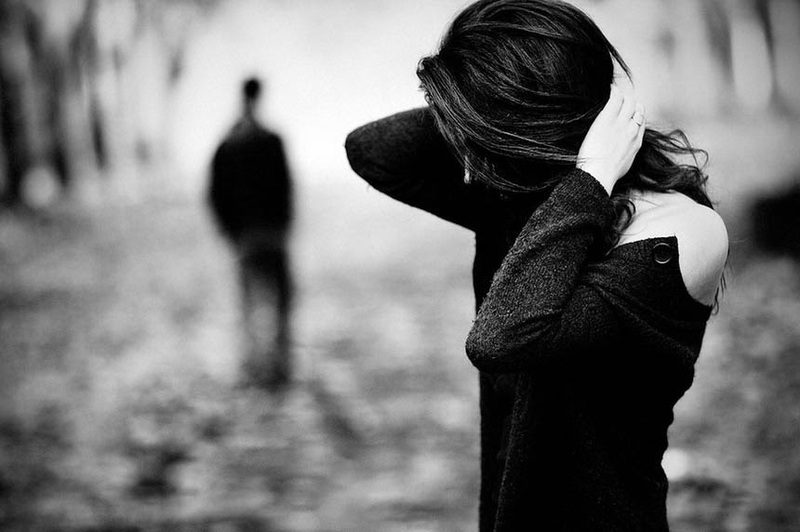 As she was walking away, I knew this would be the last time I would be meeting her because it's best I stay away from her. I told my self that she surely deserves better and maybe Mike was the guy. Mike is going to give her everything she deserves and all the happiness I should have given her along time ago. I let her slip away before and it is only right she found the right guy to spend her life with. With a teary eyed this lines came to mind. This is so good! Got me captivated the whole time Sukesh! Keep it up! Cant wait for episode 2!